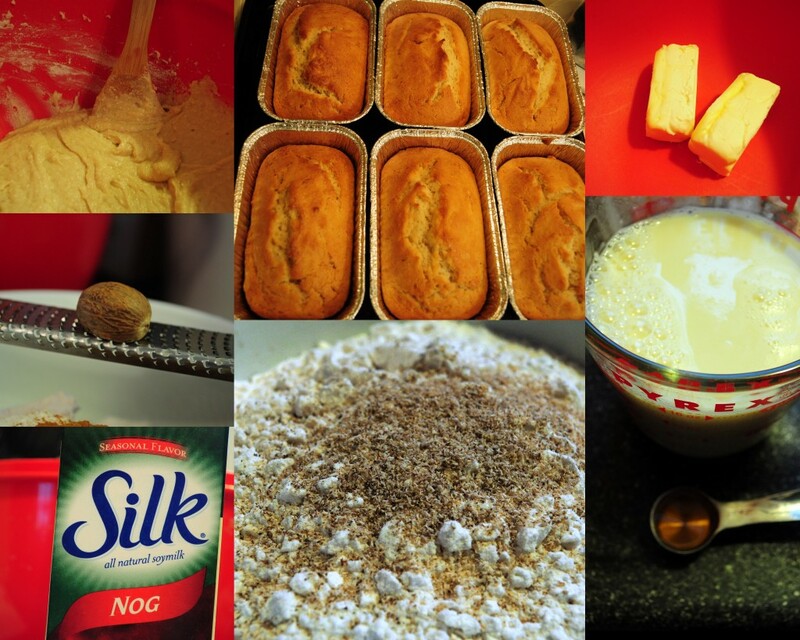 Christmas Tradition … Vegan Silk Nog Bread – Is It Vegan? Silk certainly upped the soy milk game back in the early 2000’s. They made strides with their product as they found ways to surpass the aseptic container and make soy milk more palatable for the masses. 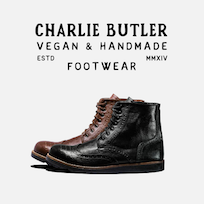 Heck, now people who are not even remotely vegan are buying the stuff for the health benefits of soy, omega 3s and bone health. All that is great, but I’m sure that the crowning achievement of the Whitewave company is and always will be the day they brought Silk nog to market. Some where at Whitewave headquarters is actually a framed picture surrounded by velvet ropes and lit by spotlights that cast a magical Holiday glow on all that walk by of the original creator of Silk Nog. At least that’s how I imagine it. We love this seasonal vegan product that reminds us of egg nog but without all the eggs and cream and oh so many calories. Unless you enjoy it with a shot of spiced rum and a biscotti. This Silk nog Quick Bread is a direct vegan decedent of this Allrecipes recipe, which like the Pumpkin Bread, I found on the internet back in college, when I had no idea that I would one day have a phone that browsed the internet faster than my dial up modem. I make it every Holiday season in small loaf pans and @isitvegan tries to fight me when I give it away. Make lots…it good for sharing! Preheat oven to 350 degrees F (175 degrees C). Grease bottom only of a 9×5 inch loaf pan, or three 6×3 inch loaf pans. Beat eggs in large bowl. Stir in sugar, melted butter, eggnog, rum extract, and vanilla. In a separate bowl, combine the flour, baking powder, salt, and nutmeg. Stir into eggnog mixture, just enough to moisten dry ingredients and then pour batter into prepared pan or pans. Bake bread in large pan for 40 to 60 minutes, or until a toothpick inserted in the center comes out clean. Breads baked in the smaller pans require 25 to 40 minutes. Let cool in pan for 10 minutes, then turn out onto a wire rack, and cool completely. Wrap tightly, and store in the refrigerator or freeze. Don’t forget to enjoy while decorating for the season. 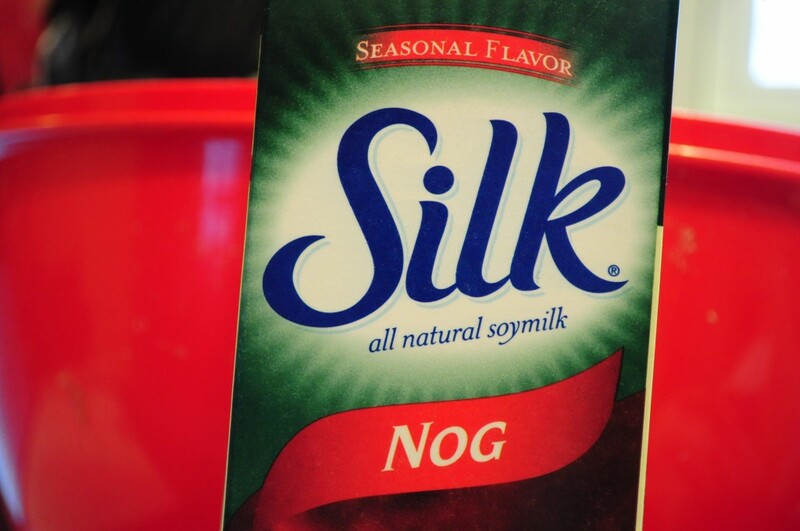 I have two things to say about Silk Soy Nog. #1 I believe that it was Silk Soy Nog that has my boyfriend hooked on soy milk in general and insists we toss away the cow habit. 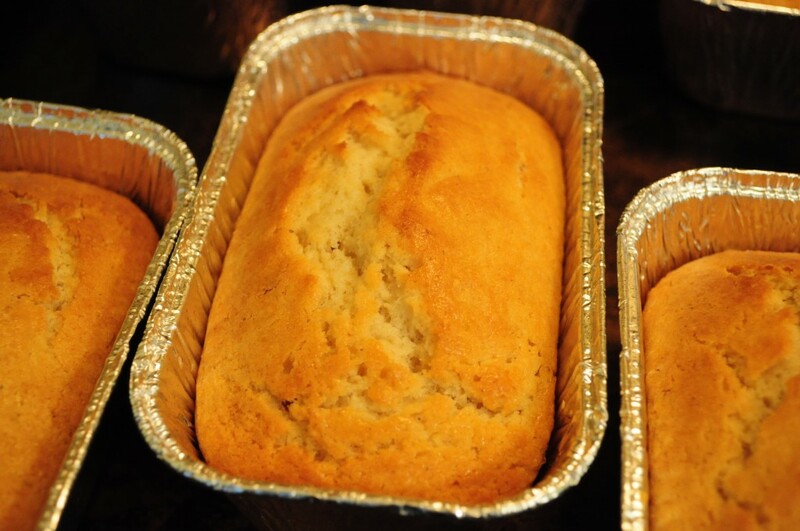 #2 From experience, Soy Nog Bread is my favorite and I am looking forward to a slice on Christmas morning!! Thanks for the recipe although I plan to steal it from your freeezer when @isitvegan isn’t looking. Mmmm… sound so yummy! Looking forward to the holidays already! Is Silk Soy Nog 100% dairy free? I ask because it has the kosher dairy sign on it, namely a ‘U’ in a circle, followed by a ‘D’. I am severly reactive to lactose, and casein, which they state on the label are not in the product. Generally though, koshedairy indicates a dairy content. The Silk Nog tasted nice, the rest of those there liked it. I am going to try something else next time. In the USA, Silk Nog is 100% dairy free. However it may be produced on shared production equipment. At least in the US, the kosher symbols aren’t reliable indicators of actual dairy content.